Do you have a question or comment. Are you looking for that specific piece of jewelry. Send us an email today! Welcome to Rozco Jewelry, "Houston's Favorite Personal Jewelry Shoppers". 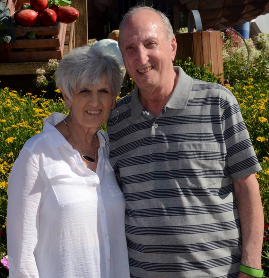 Roz & Norm Suchart bring 37 years experience in the Houston Jewelry market to you. 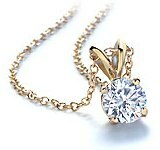 We provide high quality jewelry combined with top notch personal service at wholesale prices. 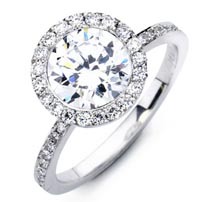 We do everything your favorite jewelry store does but without the higher jewelry store prices. Call us today for your next jewelry purchase. From our many years in business we have developed many contacts around Houston that allow us to offer you high quality jewelry at low prices. Visit any of our many showrooms around town with us for all your jewelry needs. We offer all types of diamond jewelry, gold jewelry peals, color stone jewelry and designer watches. Most jewelry is available in 14K, 18K or platinum. We will reset your old stones in beautiful new settings or search out and order that special new gem you have always wanted. No job is too small or too large. Consider us your "Personal Jewelry Shoppers". After 37 years in the jewelry business in the city of Houston we have assembled a wide range of top quality wholesalers that we do business with. We only sell top quality jewelry from the most reputable companies to insure that all of our customers get the highest quality pieces of jewelry at the best prices in town. Our personal service include everything from jewelry sales, jewelry and watch repairs, insurance replacements as well as remaking old jewelry and custom designing new pieces. We work by appointment and we are flexible to your schedule. Meet us at one of our beautiful showrooms and see the entire collection. We can even bring select pieces to your office. Many people have a specific idea for a special piece of jewelry. Our top notch craftsmen can create that one of a kind piece. If you have a picture or an idea, call us today at 713-818-4248 or email us at info@rozcojewelry.com and we can make it happen for you. Contact us for all of your jewelry needs. Call us before you make your next purchase!